I see this beautifull place with flowers at a friends garten. Original and nice composition ! Great composition, great idea. Very interesting shot. Beautiful image, Kirsten. I like the combination of colors here. Very interesting composition.Good color contrast.Nice shot.Well done. I lke very much, beautiful Kirsten ! 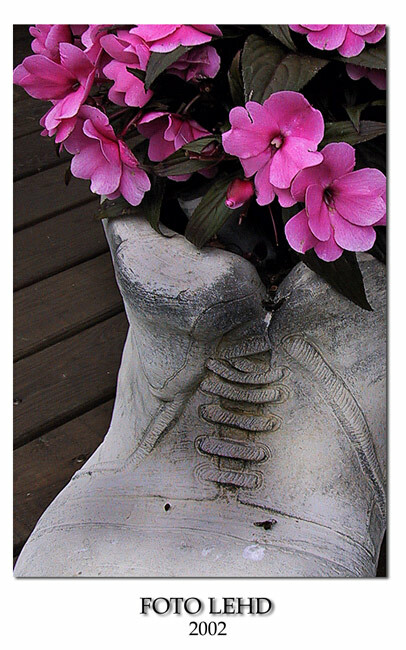 Lovely shoe to keep the flowers in!!!! !